Loving couple Sherman and Reina shot taken from my Fujifilm XT1 10-24mm at f4 in Daranak Falls. TANAY, Rizal – FAST becoming known by venturesome tourists both local as well as foreign, more popular destination for day hikers and nature lovers is the nearby province of Rizal in the eastern part of Metro Manila. It is because the nearby province is home to such amazing natural wonders including the country’s alluring and enigmatic and easily accessible waterfalls, like the Daranak Falls in the town of Tanay. Tanay is a first class municipality in the province of Rizal. It can be reach via public van as well as public utility jeepney with a station located in Star Mall EDSA corner Shaw Boulevard in Mandaluyong City and way up to Tanay local market in Barangay Sampaloc and take a ride of a tricyle to take you to Daranak Falls, all 57 kilometers can be achieve at around two-three hours of travel depending upon traffic conditions. 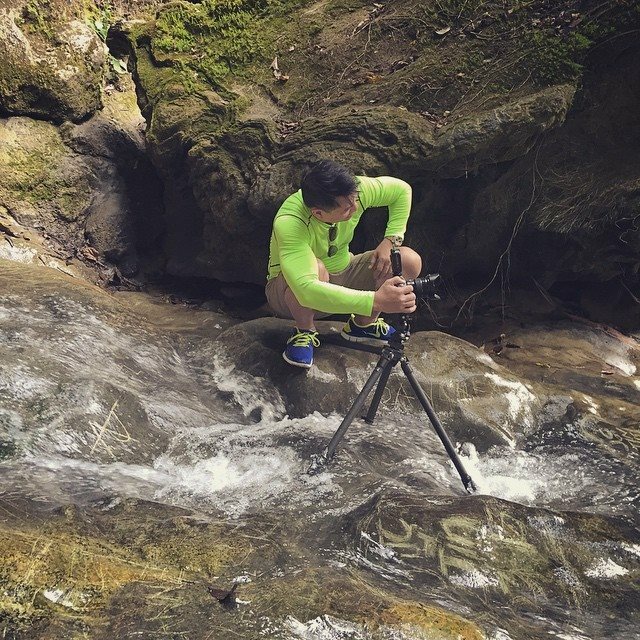 Doing fine art photography at the enchanting Daranak Falls with my all-weather Fujifilm XT1 Silver Graphite. The enchanting Daranak Falls in Tanay contains portions of the Sierra Madre Mountains and is bordered by Antipolo City in the northwest where another falls is previously known, the Hinulugang Taktak and the popular pilgrimage of Our Lady of Peace and Good Voyage, also known as the miraculous Virgin of Antipolo, alongside other provinces of Baras, Morong and Teresa in the west and Pililla, Santa Maria as well as the lake Laguna de Bay in the south. 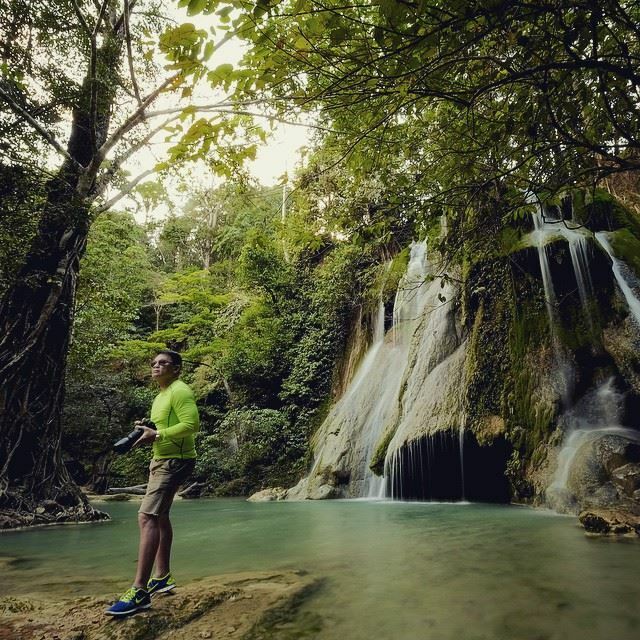 The wonders of nature in Daranak Falls with my working buddy, Fujifilm XT1 Silver Graphite 50-1140mm f2.8. Daranak Falls is not only popular because of its main attraction, the 14-meter high waterfalls cascading into a deep catch basin-like that serves as nice and cool natural pool, but also made popular for rock balancing, wherein we are all amazed with its solid firm and perfectly balanced on top of one another different rock forms in different positions and looks like a piece of sculptured fine art rock images. Sherman and Reina, pre-nuptial shoot at the Enchanting Daranak Falls in Tanay, Rizal. Anyway, not to much amazed from it, I was there not only to be inspired and get mesmerized by the wonder and beauty of Daranak Falls but again a work and pleasure as we continue the pre-nuptial engagement with our adoring couple, Sherman Miguel and Reina Mendoza this time around at the enchanting Daranak Falls. Fully-equipped with my ever reliable working buddies, the all-weather Fujifilm XT1 Silver Graphite with 50-1140mm f2.8 and Fujifilm XT1 with 10-24mm f4 perfect for pre-wedding shoots along with Phottix and my Spiderholster, our engagement with the couple were successfully done. Thanks to our very cooperative couple Sherman and Reina, as well as congratulating them and best wishes. And Yes, Definitely It Was A Best 2014 After All! Life's Freezing Cold Up Here Eating Yakiniku At Its Best. And There Was Life All Over The World! Our Little Paradise Found In Bernabeach Resort And There Was Life All Over The World!